Our Foxglove is made from custom woven Irish Linen, which is wonderfully soft and has a beautiful drape creating an effortlessly cool look. We’ve thought about every little detail from the antique brass buttons, to the gorgeous self tie belt. The fit of these trousers is relaxed and slightly oversized. 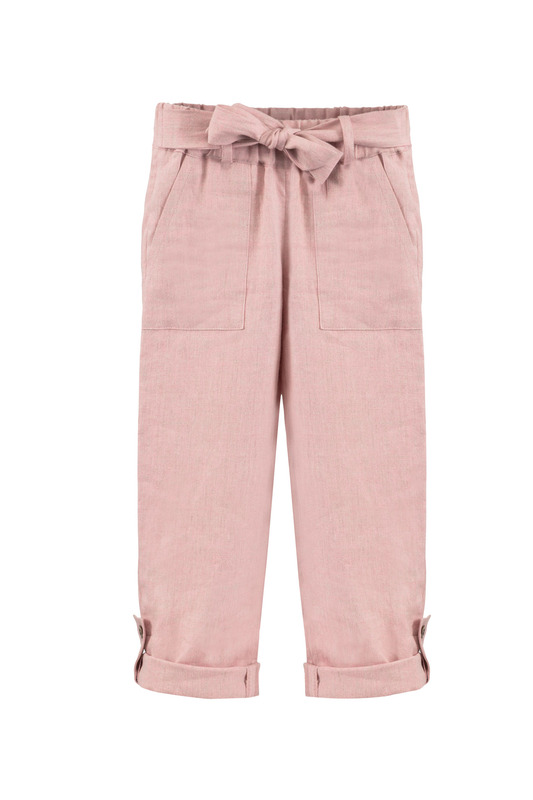 They’ve been designed for little limbs to grow, with details such as the softly elasticated waistband and rolled up hems. 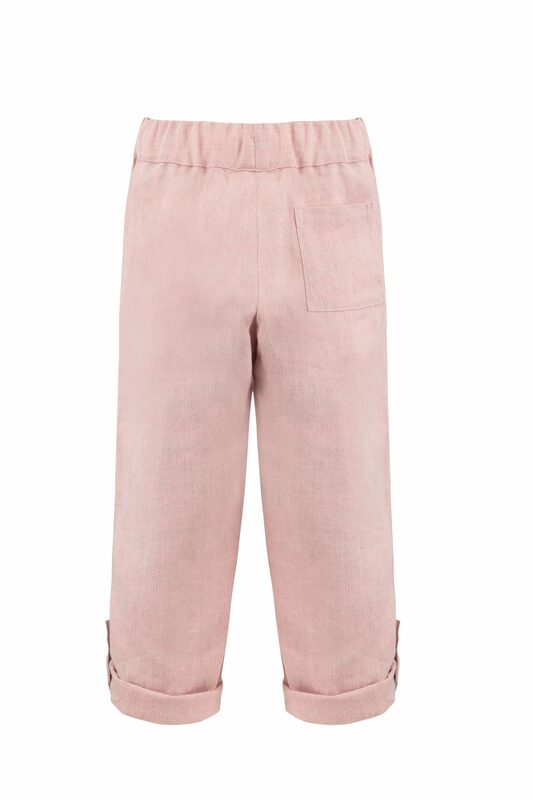 These trousers are made to last through the years and are sure to be a timeless wardrobe favourite.